Want to see huge cranes stretching high into the sky and big diggers working all day long? Just get busy with this amazing magnet book! A crane towers over the building site. A cement lorry arrives. A digger scoops earth from a hole. A surveyor surveys the land, and a carpenter saws. Workmen drive trucks. Buildings grow. 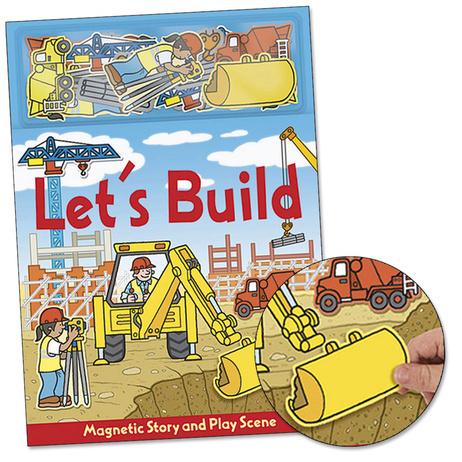 You get a board book with colourful pictures, an exciting story and 20 chunky magnets. Use your imagination to make the scenes! Includes a magnetic play scene and 20 magnet play pieces.